1. 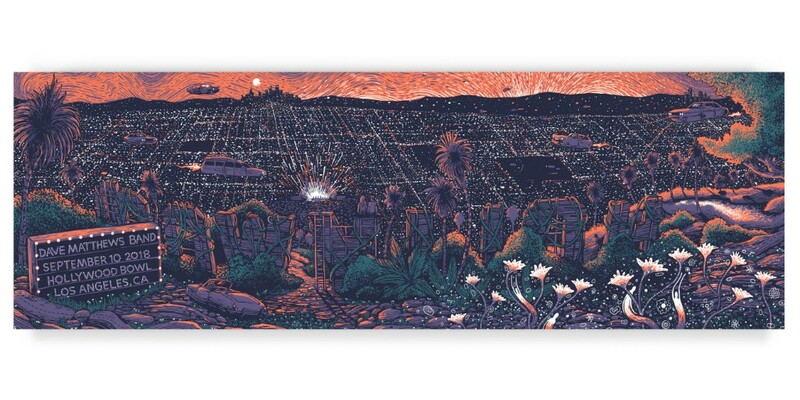 "Don't Mistake the Stars" a 12" x 36" 4 color screenprint for the Dave Matthews Band Show at the Hollywood Bowl on September 10th, 2018. These prints are signed and labeled "AP" in an edition of 120. 2. 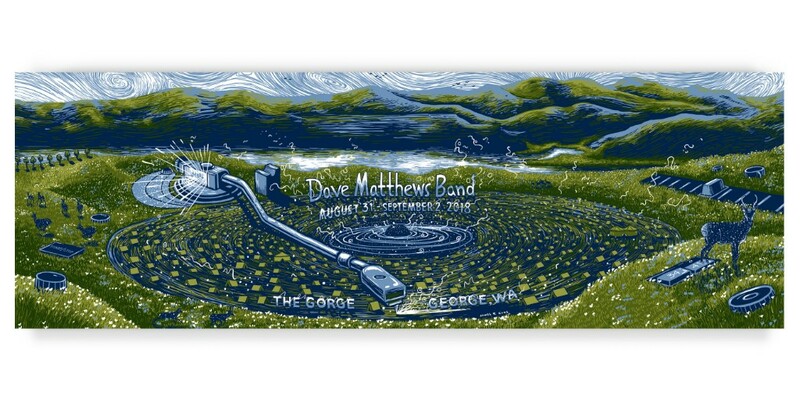 "Don't Skip This Track" a 12" x 36" 5 color screenprint for the Dave Matthews Band Shows at the Gorge August 31- September 2, 2018. These prints are signed and labeled "AP" in an edition of 120. 3. 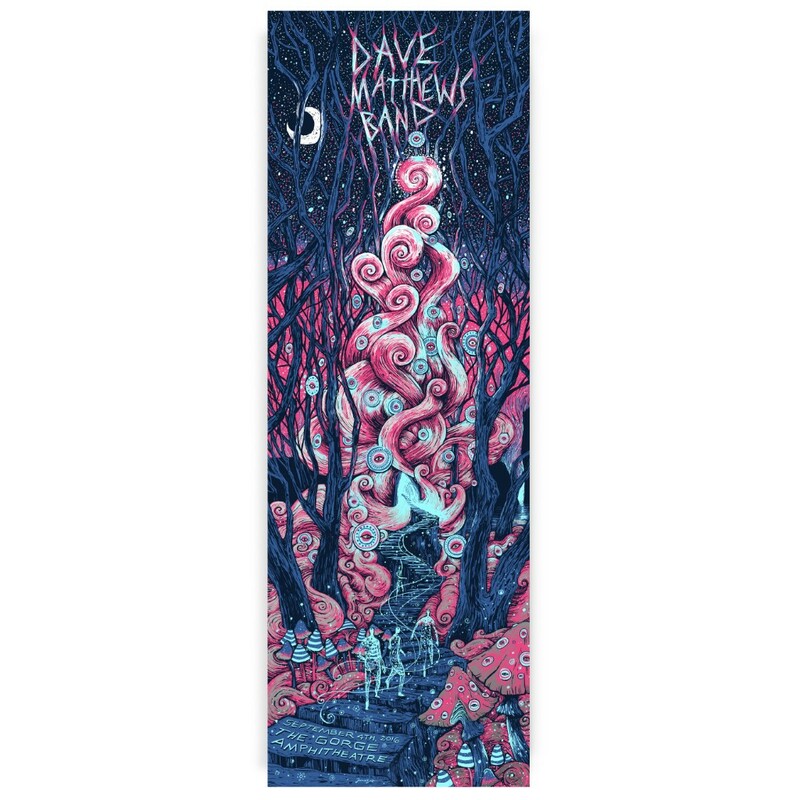 "Hidden Silver Portal" a 12" x 36" four color screenprint for the Dave Matthews Band Show at the Gorge September 4th 2016. This was reissued as a limited edition print foil print in 2017 and I have been waiting on releasing these. These prints are signed and numbered in an AP edition of 80.